The Wufoo Form Builder helps your nonprofit easily set up registration forms to manage fundraising events. Email notifications instantly alert you about new attendee RSVPs, so you can keep track of your guest list. 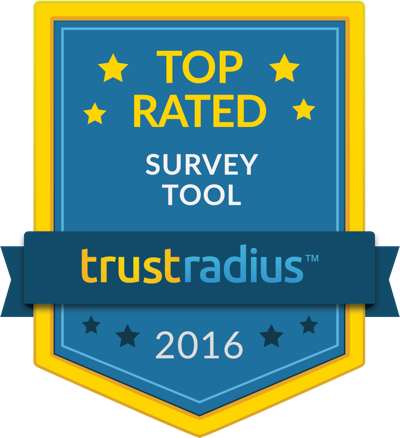 The Report Manager and Entry Manager tools ensure quick access to attendee information. And reports make it easy to share the status of your event, guest lists and other details with others. Integrate with one of our many payment partners--Stripe, PayPal, or Authorize.net--to sell event tickets and accept online payments. Collect your attendees' contact information and import it into MailChimp or Campaign Monitor to communicate messages to your attendees before and after the event. 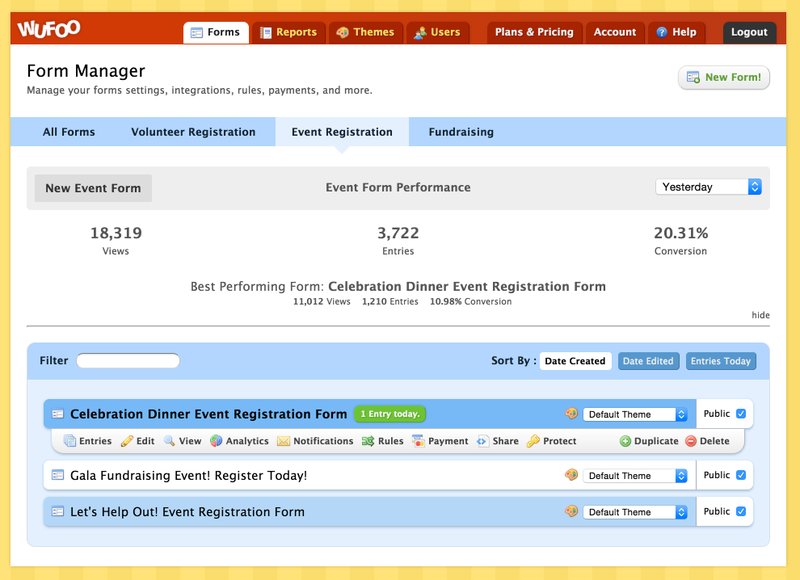 Wufoo makes event registration and management a breeze.